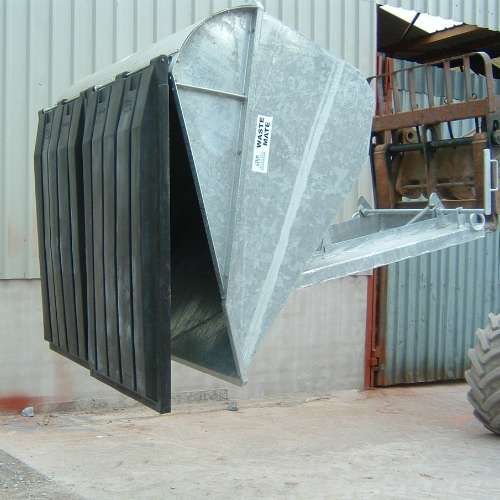 The O’ Donovan Engineering Waste Mate skip, is a self-tipping skip for both industrial and agricultural use. It is designed to suit all types of waste in food processing, animal husbandry, factory floor, store/warehousing and farm yard. 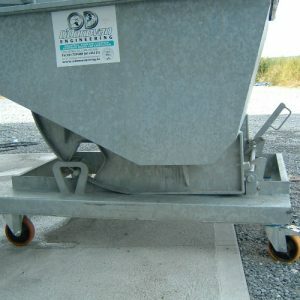 This skip has plastic lids to protect its contents from winged, rodent and scavenger predation. These lids are optional and can have the option to lock them to keep predators out. This Waste Mate can also come with an optional liquid drain off valve. 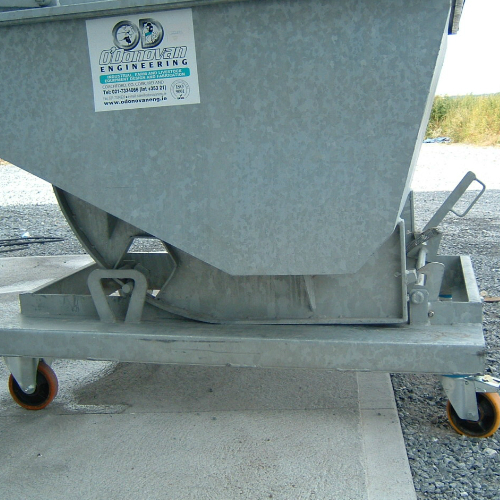 Heavy duty castor wheels is option that can be added to the Waste Mate Skip. 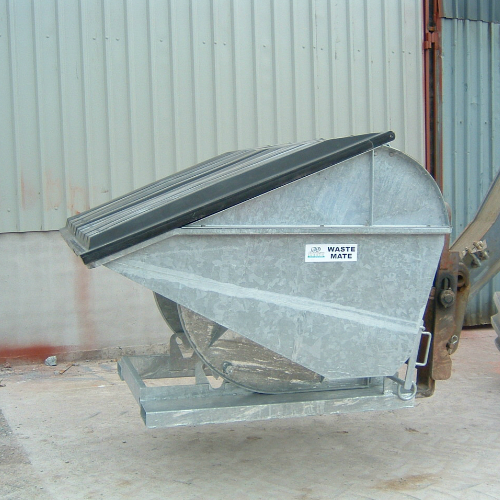 The Waste Mate comes with an added safety feature of a safety chain to prevent the skip falling off the forks. This skip is CE and lifting certified and comes fully galvanised. Its standard width is 1.8m, custom sizes are available on any order over five.